Looking for some good ole family fun? 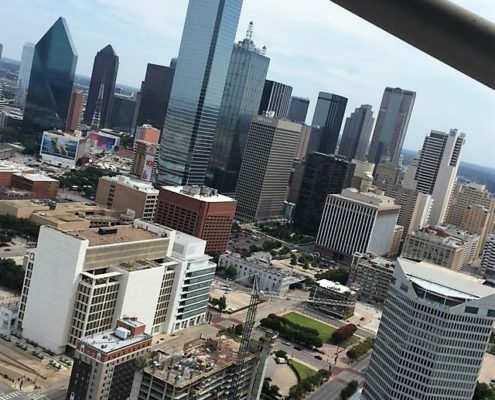 Visiting Dallas soon or perhaps live in the area and have always wanted to go up to the GeO-Deck? Well now is your chance! We did receive free entry to look around to bring you this review but all opinions are 100% my own! 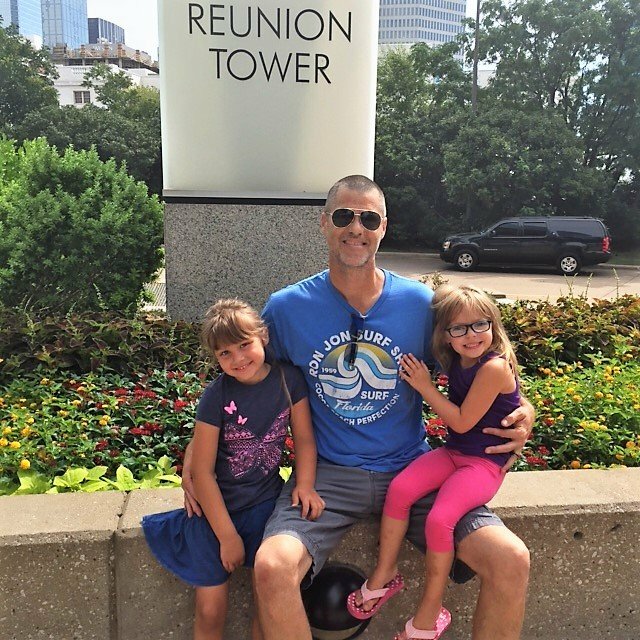 My kids love the Dallas Skyline and see it often as we drive through going places so we surprised them and didn’t tell them where we were going until we pulled in! They were so excited and a bit scared to go up the 470 feet but we assured them it was safe and well worth it! Parking is a couple blocks away and cost $6 for the farther parking lot and $9 for the closer one or you can Valet with the hotel for $19. I did think that was a bit pricey but I guess that is pretty common when parking at any venue. After you park, you can enter through the actual GeO-Deck entrance or the hotel entrance and walk over. We followed the signs and it was very easy to navigate to where we needed to go and went and picked up our tickets at the will call desk. I was impressed and had never thought about it but there was a security check station where your bag was checked to ensure everything was safe. This made me feel good especially since we were going up 470 feet in the air in a popular tourist attraction so you can never be too safe! Our journey started with the PIX photo experience at the bottom of the tower. 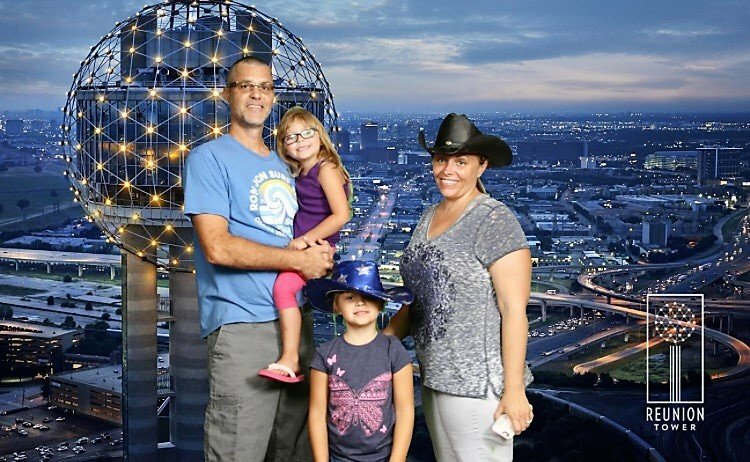 You get to pick from hats and goofy photo props then take your picture in front of a green screen and are able to pick from backgrounds of one of six images of the Dallas skyline at the end of your visit. You get a free picture emailed to you but if you want to buy prints there is a cost. Next we boarded the elevator and in 68 seconds we were exiting to the GeO-Deck 470 feet in the air. The usher on the elevator took us up and answered questions and told us fun trivia on the way up. One side of the elevator is all glass so you can actually look outside your whole way up. Very cool. This indoor/outdoor observation deck lets you explore the city unlike anywhere else. 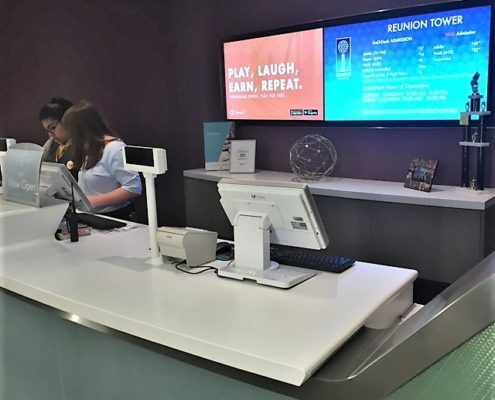 They have interactive touch screen Halos and with just one swipe discover local hidden gems, historic landmarks, museums, parks and much more. You can even name your own constalation. The views from inside were breathtaking and totally 360-degree since its a complete circle. You could see for miles in any direction! My kids, of course, wanted to head outside! You can walk outside also around the exterior deck and feel the wind in your hair as you stand 470 feet on the outside deck! We went during the day and it was very cool but I bet at night it would be Amazing! They have high-definition zoom cameras also for free so you can truly see for miles and miles. We went upstairs from the Ge0-Deck to the restaurant and it spins, yes it spins and you can see and feel it spinning. The pricing was good and we were going to eat but the line was long so we opted to go somewhere else. 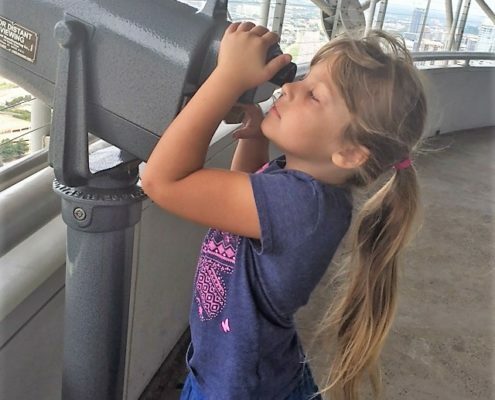 Mom Always Knows definitely suggests making the iconic Reunion Tower one of your stops to explore for interesting things to see and do in Dallas. Here is a coupon for you as well!! To print your coupon, go HERE! 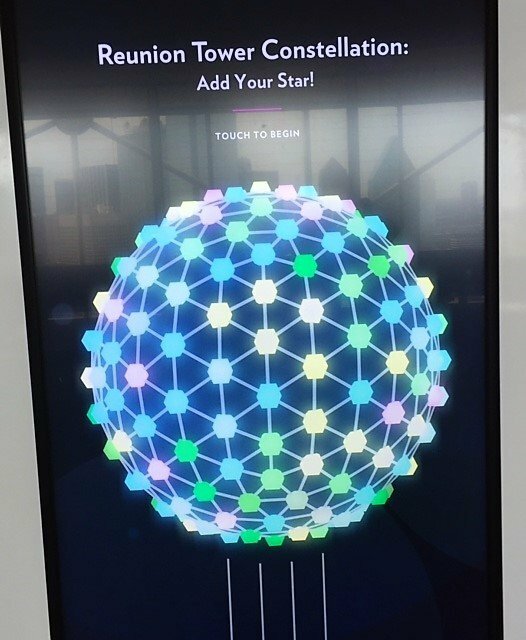 Receive $3 off an adult general admission ticket to Reunion Tower’s GeO-Deck when you present this coupon or mention code “USFam”! 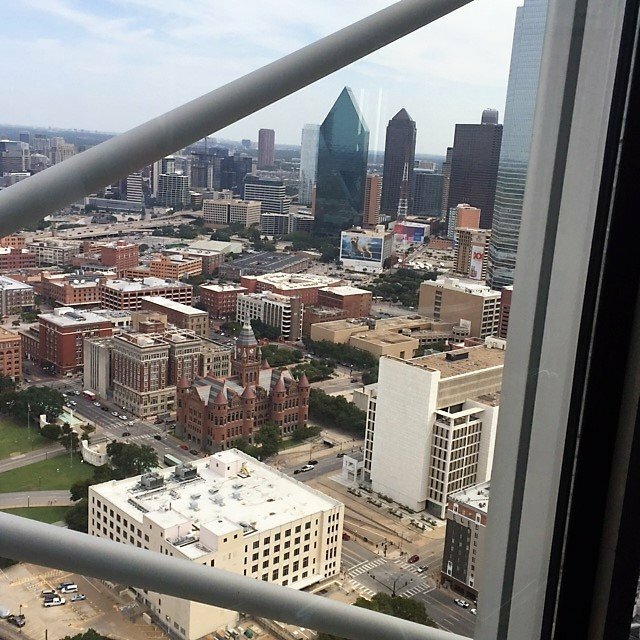 For more information visit Reunion Tower. Visiting Dallas, See our review of Sharkarosa Wildlife Ranch.